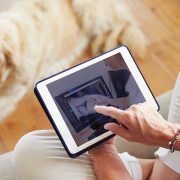 We have published a summary of the consultation phase of our review of telemedicine within veterinary practice. This comprises a summary report of our consultation held between 13 February and 24 March 2017 asking for the views of the veterinary and veterinary nursing professions, animal owners, and stakeholders on the use of telemedicine in veterinary clinical practice. The consultation was designed to help identify potential risks associated with telemedicine, identify areas where it may help address the needs of both clinicians and the public, and support the potential development of new professional standards and guidance. The online survey of veterinary professionals received 1,230 responses, while the public consultation received 229 responses and the survey of organisations/stakeholders received eight responses. Written responses were also received from a number of organisations. The results of the consultation were first considered at a special meeting of the Standards Committee on 31 August 2017, where it was noted that there the consultation revealed significant confusion around current supporting guidance to the RCVS Code of Professional Conduct and that, at a minimum, clarification as to what was currently permissible was needed. The Committee determined a key issue going forward was whether to change the Supporting Guidance to the RCVS Code of Professional Conduct regarding ‘under care’ to allow veterinary surgeons to prescribe POM-V medicines based on telemedicine alone. Given the complex nature of the issues and the wide-ranging implications, Standards Committee presented a range of options for amending RCVS Guidance to RCVS Council at its meeting on 2 November 2017. After discussion, Council asked the Standards Committee to continue their review and to present more detailed proposals to Council regarding the future of telemedicine in clinical veterinary practice. Anthony Roberts, RCVS Director of Leadership and Innovation, commented: “We would like to thank all those who took the time to respond to the consultation – although Council has not yet made any firm decisions, we felt it would be useful to share our research so far. Standards Committee will meet again in April 2018 to take further evidence and develop proposals to take the issue forward. Innovation on the agenda at BSAVA Congress What’s your big idea?